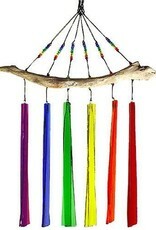 Our drift wood wind chimes create a very unique sound as they're made with glass chimes! We offer a variety of colors including blue, green, two tones, rainbow and more! 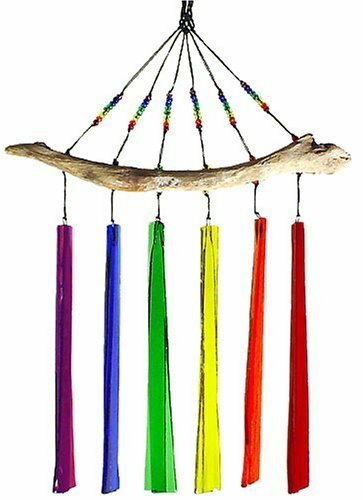 Each set of glass chimes is connected to driftwood with strong wire to keep it in place even in strong winds and adorned with beads for an added embelishment.